New Custom Homes by Mt. Tabor | Mt. 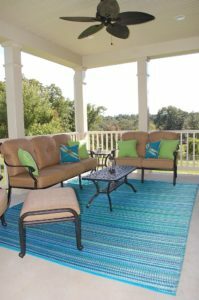 Tabor Builders, Inc. Here are some custom homes the Mt. Tabor team recently completed. The Mt. Tabor Builders team of professionals has been busy over the last 12 months. 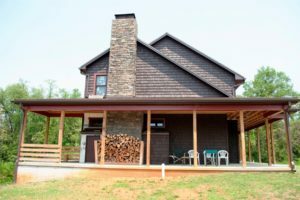 The hard-working crew has built many additions, outdoor living spaces and custom homes in the Tri-state area of Maryland, Pennsylvania and West Virginia. They would love your feedback, because they like knowing what people like — and don’t like — about specific designs. 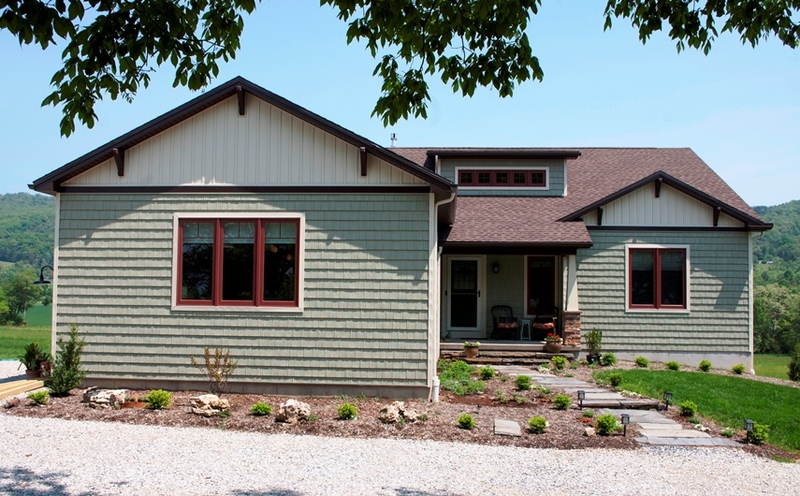 This craftsman-style home is on a beautiful piece of land in Boonsboro, MD. While the inside is nicely appointed with gleaming wood accents around the Williamsburg paint palate, its the large deck off the back looking at the mountains that the owners truly enjoy for seven months out of the year. Another Boonsboro project we worked on is for a recently-retired client who wanted to be a part of the planning and construction. The Mt. Tabor crew built nearly 80 percent of the over-sized Cape Code, which features a full wraparound porch and stone chimney. The dark wood siding makes the home stand out against the wooded backdrop. Gary plans to finish much of the detail work on the three-story dwelling. He will be putting his personal touch on the dwelling over the next year or two. The Horst family of Clear Spring hired Willie Eby’s building crew to build this majestic Victorian-style farm house. It sits on a hill looking down over the family’s property. With a front porch that stretches across the entire house, evenings of watching the sun disappear behind the mountains are sure to be a regular activity. The house also features several unique Andersen Windows, the brand recommended and install in most of Mt. Tabor projects. Those windows and the Therm-Tru front door will help keep the winter winds on the outside. 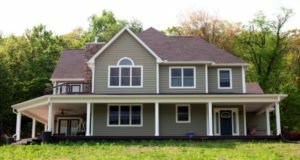 Contact us if this is the year you are thinking of building a custom home, adding a major addition or completing a whole-house renovation. You can call us at our Clear Spring office at 301-766-7161 or contact us here. We would love to meet with you and talk about your plans.